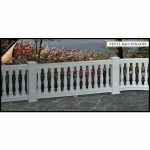 Below you will find links to company and product information for manufacturers and suppliers in Sweets matching the term Manufacturer-Architectural-Columns-&-Balustrades-by-Melton-Classics. This page is designed to meet the needs of architects and design professionals who are researching, comparing, selecting and specifying products. 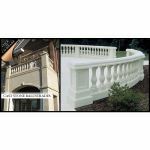 Below you will find links to product information for manufacturers and suppliers matching the term Manufacturer-Architectural-Columns-&-Balustrades-by-Melton-Classics. Each product presentation is designed for the construction industry professional and displayed in a consistent manner. Content categories include: project galleries, specifications, BIM objects, CAD details, 3D Models, product catalogs and green product information. Note to Building Product Manufacturers: Our goal is to include all manufacturers who are providing building product information in Sweets. If your company is missing or you have noticed a mistake in one of the listings, please contact us us today. Sweets is meant to be the most comprehensive and useful tool for finding building products information. Your feedback will help to ensure that design professionals obtain the information they need in the most useful form and help building product manufacturers to improve their content. 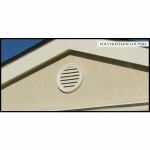 Description: Melton Classics offers pier caps and finials to crown the tops of piers to enhance any design. 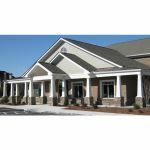 Description: Historically, quoins were used to tie the corner of a structure together while creating a contrasting feature to frame the structure visually. 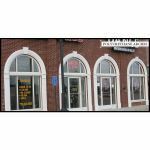 Description: Melton Classics offers a wide array of cast stone window pediments, jack arches, keystones, casings, panels and sills to allow you to embellish the window openings for your project. 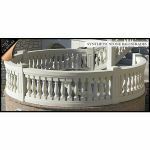 Description: For centuries the enduring beauty and durability of cast stone has been sought out by architectsand builders alike for use in the creation of classical balustrades. Description: Also known as Ashlar Block, cast stone veneer has been used in building construction for decades to provide contrasting color and texture to fine masonry architecture. 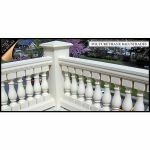 Description: VinylClassic™ balustrade is the ideal product for those looking for the dramatic architectural appeal of a substantial classical balustrade on a tight budget. 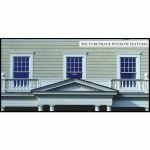 Description: Melton Classics offers a wide array of window features from our large selection of standard molds to allow the design professional to create drama and elegance for any type of project. Description: Let the custom millwork artisans and pattern makers at Melton Classics provide your polyurethane custom millwork needs at amazingly affordable prices. 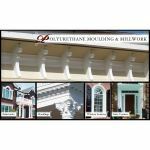 Description: Add the ultimate finishing touch to your project with Architectural Urethane Polyurethane Brackets, Corbels, Dentil Blocks or Rafter Tails. 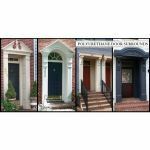 Description: For a beautiful low maintenance door surround for your building project, specify Architectural Urethane Polyurethane Door Surrounds by Melton Classics. Description: Melton Classics offers the design professional a wide selection of finials to crown your newel posts and cupolas.